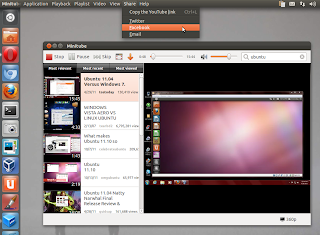 Desktop YouTube app Minitube was recently updated to version 1.6. This new version fixes a few bugs and adds an important, missing feature of sharing the video to social networks like Facebook and Twitter and also via e-mail. 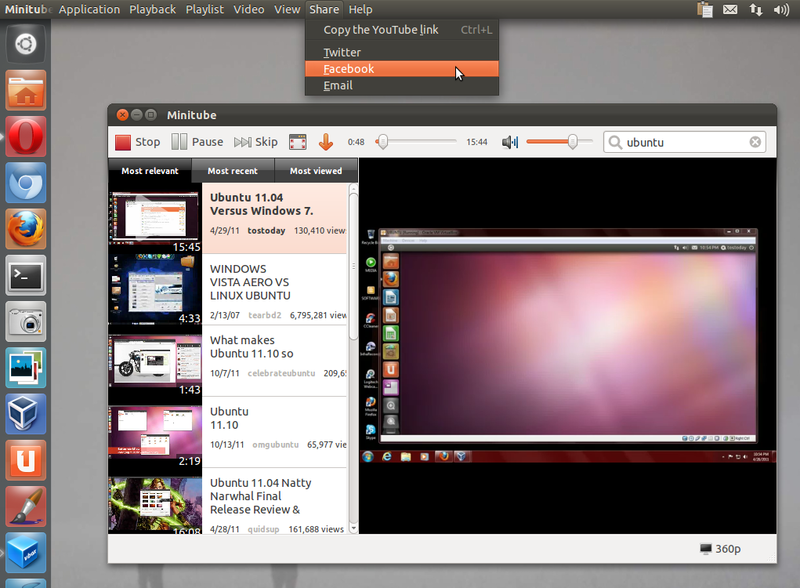 Minitube aims at the flash-free desktop and doesn't need any flash player to play the YouTube videos. Once installed, you can launch it by searching the Dash for 'Minitube'.